Adam Andrzejewski has been demanding public records from governments across the country for years. His goal: letting taxpayers know how their money is spent. The Illinois businessman and transparency advocate operates a website, Open the Books, that tracks government spending at every level (you can see what your Michigan township pays its employees and retirees, for instance) and has led to congressional hearings and radical changes in spending. But when it comes to Michigan, Andrzejewski found that one in five municipalities do not make his job easy: They demanded fees totalling $40,000 for information that all others provided for free. A few weeks shy of Sunshine Week, the mid-March celebration – or lamentation – of government transparency, advocates say few states make it harder to extract information than Michigan. Despite some reforms, the state has done little to change a culture of secrecy that prompted the Center of Public Integrity to give the state a failing grade for transparency. 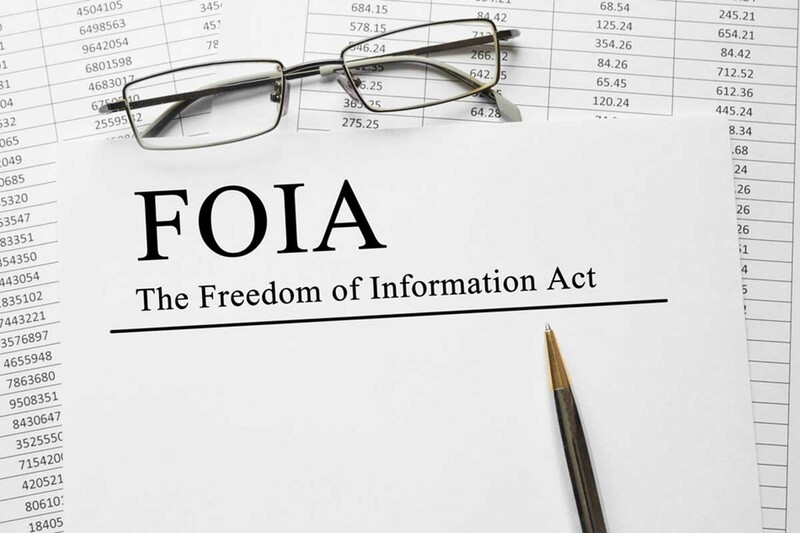 The state’s Freedom of Information Act of 1976 allows citizens to ask governments for public records, but critics say it’s full of loopholes and exemptions including one glaring one. Michigan is the only one of two states (along with Massachusetts) that exempts the governor’s office and Legislature from the law, even though the Flint water crisis prompted calls to end the exemption. New laws took effect in 2015 that were supposed to make getting information easier and cheaper. The reforms capped government charges for copies at 10 cents a page and increased penalties for delays, but many observers say long delays and costly bills remain the norm. Government officials say there’s a good reason for fees. They’re besieged by information requests and fulfilling them costs money and takes government workers away from their jobs, said Catherine Mullhaupt, an attorney and the director of member information services for the Michigan Township Association. One public official recently told Mullhaupt they arrived to work to find 130 emails from the same person – and each a Freedom of Information Act request for a single record. Each required a response and Mullhaupt called the request, though legal, an abuse. Many of the state’s 1,240 townships have tiny budgets and few employees. But the law is the same whether there are 2,000 residents or 100,000. “It takes them away from their legitimate functions where they’re responding to the public,” Mullhaupt said. Although the media often complain the loudest, groups like Andrzejewski’s and the Mackinac Center for Public Policy, a free-market think tank based in Midland, run up against Michigan laws. So do citizens trying to find out even the simplest things about their communities: In Shelby Township in Macomb County, FOIA requestors are told they could pay as much as $20.18 an hour to have a township employee research their FOIA request. A few years ago, the Michigan State Police wanted $6 million to respond to a Mackinac Center request. And the city of Flint wanted $172,000. Although fees have become less of an issue for the center, delays have not. By law, governments are supposed to provide information within five business days, but can extend the response by 10 more days. In practice, even seemingly simple requests can often take more than a month to fulfill. “That has been a problem,” Reitz said. The Mackinac Center reached a settlement with the University of Michigan over emails from school President Mark Schlissel. In the settlement, the university agreed to change its policies and work to complete three-quarters of its information requests for free. It paid the center nearly $8,000 for fees it incurred. Jerry Paffendorf has long tangled with Michigan’s public bodies. His company, Loveland Technologies, provides online mapping services of property records from around the country. It started in Detroit and focused on Wayne County property records but has expanded to every state in the nation. Loveland only has property records from 36 of the state’s 83 counties. It has details on 82 of Ohio’s 88 counties; 91 of Indiana’s 92 counties and all of Wisconsin’s 72 counties. In Michigan, some counties have not digitized their parcels accounting for some of the gaps. In others, the counties want $20,000 and more for data that is sitting on a computer, awaiting the simple push of the ‘save’ button. Loveland has demurred on paying. “Michigan is like the worst when it comes to sharing those records,” Paffendorf said. Records requesters can challenge a fee as too high. But that can require the help of an attorney, a move that adds cost to the process. If you win, the governmental body may have to pay your attorney’s fees; if you lose, you have to pay. Those fees can be chilling, and agencies seem to know it, said Lisa McGraw, director of public affairs for the Michigan Press Association. “I think that’s the goal often: If we stall too much or charge too much we don’t have to do it,” she said. Years ago, before online-advertising and declining circulation gutted the revenues of newspapers, they frequently challenged public bodies – over open meeting violations and open records denials and delays. But those challenges are less frequent, which Robin Ruth-Herrmann laments. She’s the attorney who helps the media with FOIA and open meetings issues for the Michigan Press Association. They would do two things: good decisions could strengthen the law and they could act as a deterrent to withholding records. When there are fewer challenges – and when a government suspects a high fee could scare off requests – it emboldens government, Brady said. “Some of these city attorneys and institutional attorneys are very bold,” he said. And sometimes they do lose. The MLive Group challenged the city of Grand Rapids for the release of audio recordings of police. The recordings, which the officers were unaware of, showed a command officer instructing beat cops on how to handle the drunken driving arrest of a former county prosecutor. The city fought Mlive and filed its own lawsuit in U.S. District Court. But last September, the Michigan Court of Appeals ruled in favor of Mlive and ordered the release of the recordings. The command officer had already been fired. I was an insurance investigator for 17 years. I routinely made FOIA requests throughout southeast Michigan. What I experienced was inconsistent policies from one jurisdiction to another. Some would give the store away without giving it a thought and others would give me a hard time over relatively simple requests. I think reasonable fees are appropriate. Some requests are involved and require a commitment of much labor. Michigan continues to be mismanaged and lacks total transparency regarding government affairs. Michigan government does what it wants with no regard to taxpayer wishes. There needs to be an overhaul in government. The good ole boys need to be voted out, big money needs to be eliminated and Michigan needs to get back on track. Michigan has been run by the same patriarchy for years. Of course "daddy" knows what is best for all of us. The world has changed but Michigan has not. Wake up Michigan and vote in November. This will be an important election. Michiganders are not going to put up with this anymore!! In the tiny City of the Village of Clarkston located in northwest Oakland County, the city government has gone one step further with the legal assistance of the Michigan Municipal League and Michigan Township Association. The claim currently in the Michigan Court of Appeals is that a charter designated city official, in this case the city attorney, can withhold information from the city council land public, that if the information is not in the city hall it is not subject to FOIA and from MML/MTA, local governments are not subject to FOIA. Oral arguments have yet to be scheduled but the court filings are all in place. The City Council has yet to formally act one way or the other on this other than letting the process proceed without any formal vote and at the taxpayer's expense.